When you think of Ananse the trickster and Neil Gaiman, you might — right now at least — be drawn to Orlando Jones’s stellar portrayal on American Gods. 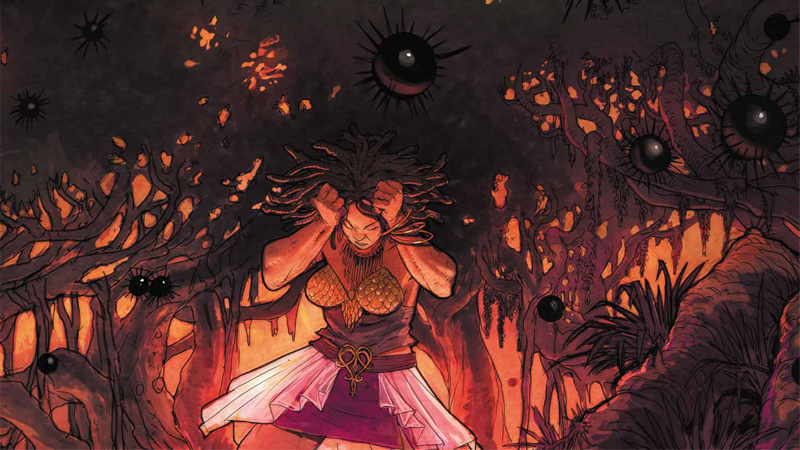 But a god has many faces, in the real world and in fiction, and Gaiman’s got whole other worlds of mythological interpretations out there — and one of them is about to cross paths with a very different form of Ananse. 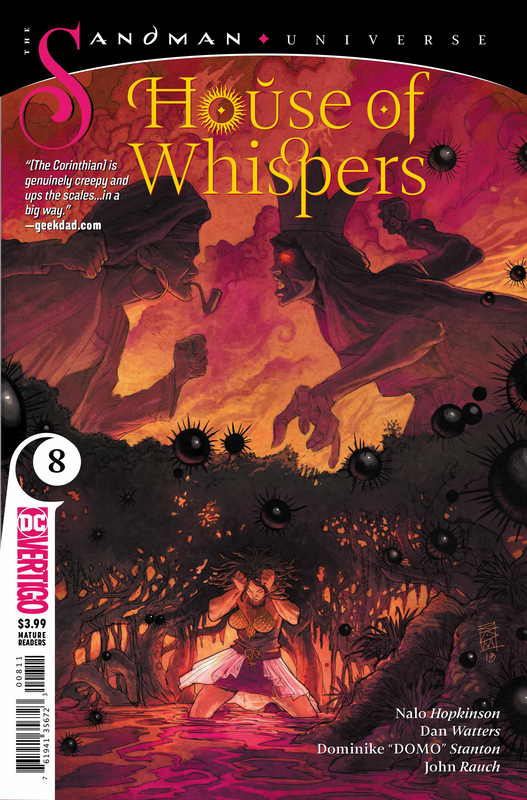 With the last arc concluding with Shakpana’s plans to sicken the world of the living unfolding ever more dangerously, the next chapter of House of Whispers sees protagonist Erzulie make an uneasy choice. In order to save the land of the living and the dreaming alike, she needs the duplicitous abilities of Ananse on her side. But how can you enter a deal in good faith with the god of tricks? Well, Erzulie finds herself making another dangerous alliance with none other than the sinister nightmare of Dream himself, the Corinthian. 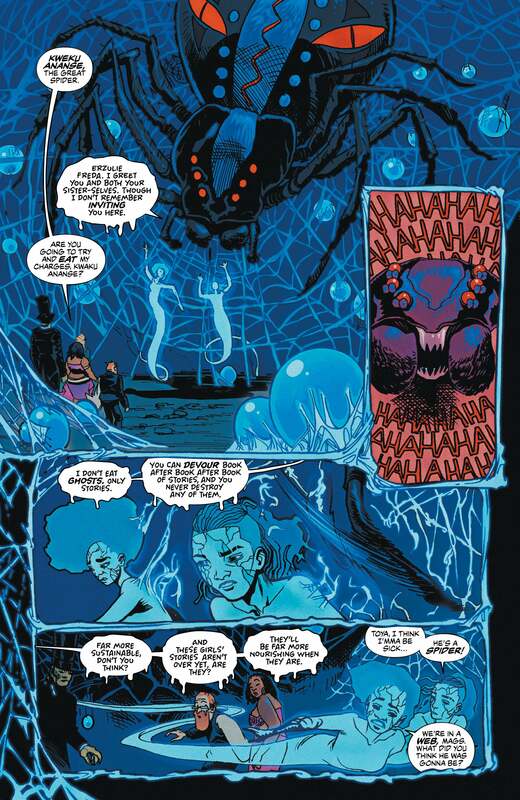 “It’s been pure evil fun,” Hopkinson told io9 over email, referring to the process of bringing Ananse into House of Whispers. 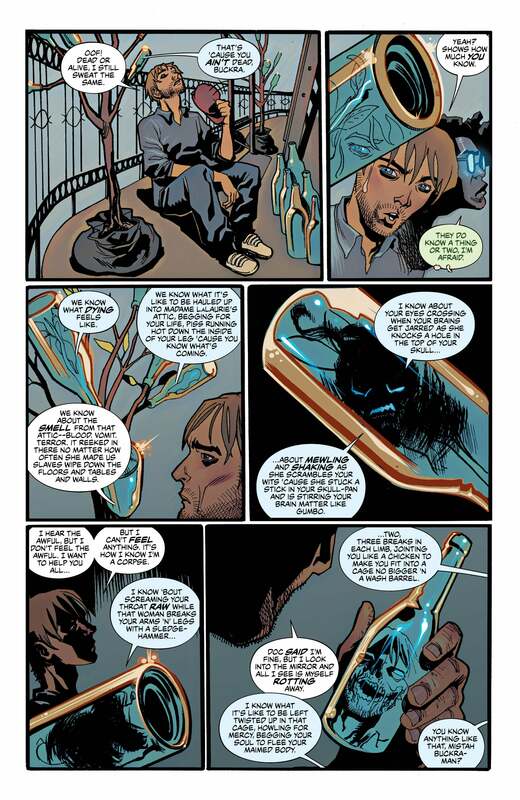 “I’m aware that some readers will confuse our mythophage Ananse—note the spelling—with the character of Anansi in Neil’s novels American Gods and Anansi Boys. But stories about the West African trickster Kwaku Ananse predate them both by centuries. They are both interpretations of the original one. It’s been a blast to imagine a being that is literally made of stories, who gluts himself on stories, and for whom narrative is his strongest moral imperative. 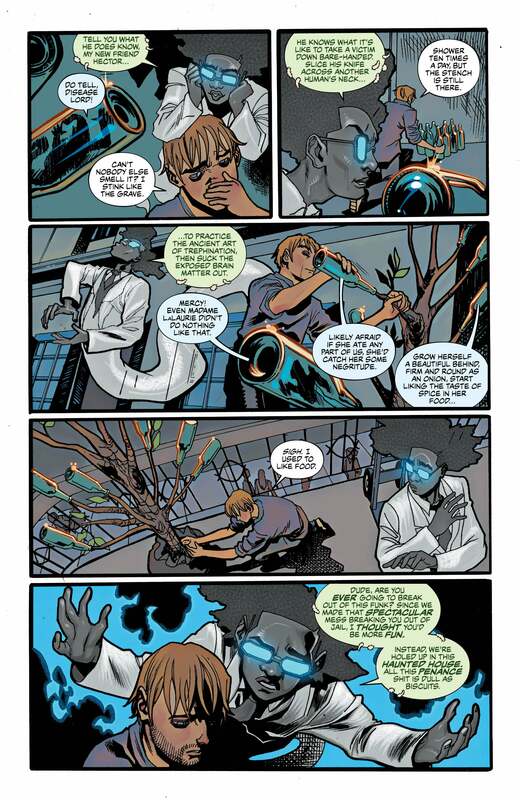 “Ananse is a great character since he’s so damn mercurial—a trickster character who’s the keeper of stories was pretty irresistible for this corner of the Sandman universe,” Watters added, also over email. 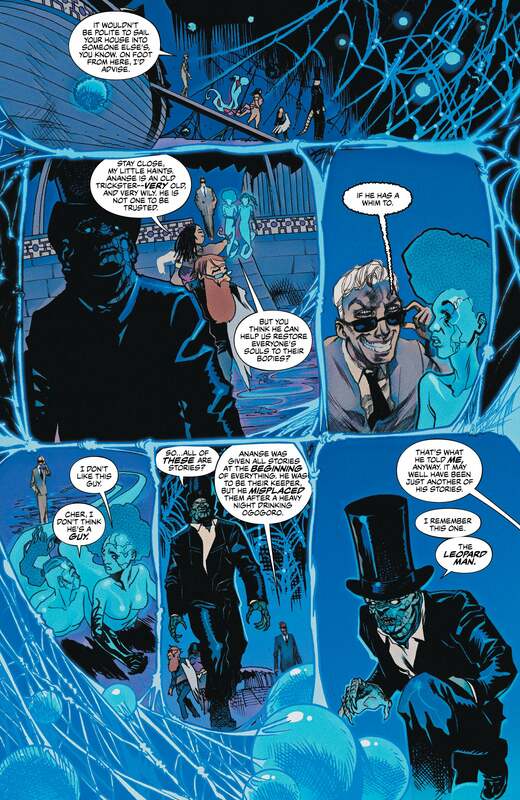 But while House of Whispers’ version of Ananse might be drawing more directly from the god’s origins in West African folklore, the version of the Corinthian is much more rooted in Gaiman’s prior Sandman stories. 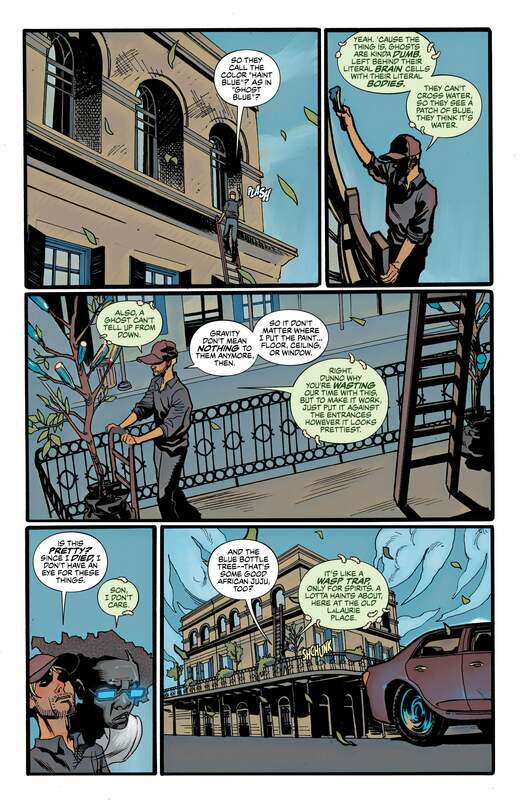 That’s not to say House of Whispers won’t add something new to a character that’s been intepreted and changed up before, however. “Bringing back a fan favourite like the Corinthian is always an interesting thing, since we don’t want to merely retread what’s come before,” Watters noted. 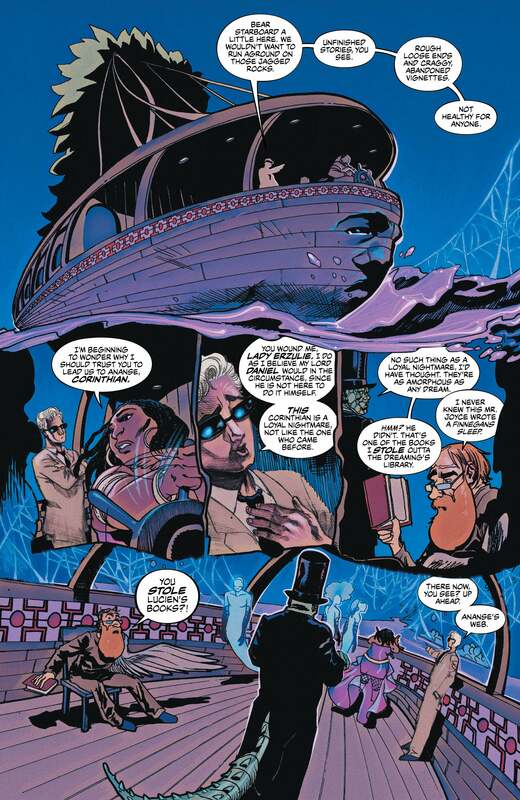 For artist Domo Stanton, bringing both this take on Ananse and the Corinthian to House of Whispers was an interesting balance of what had come before and what his art has brought to the table for Ezrulie’s adventure so far. Stanton told us over email. 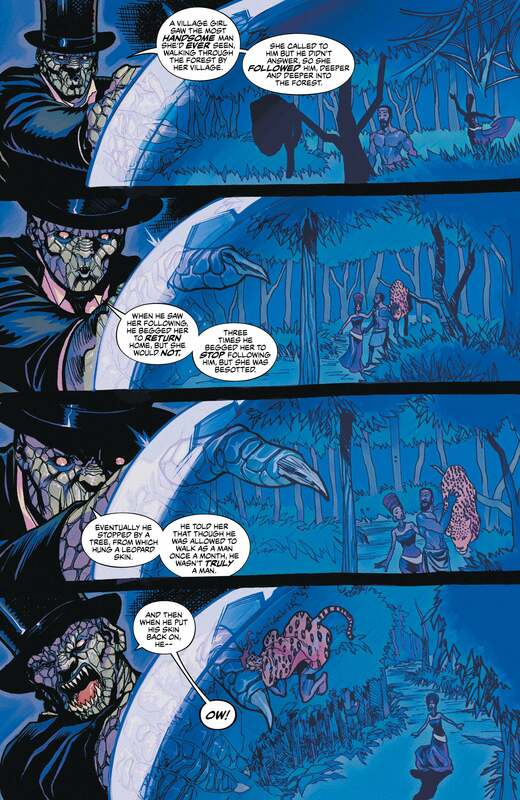 “[Since he was] somewhat of a major character in the original series I really wanted to do something with his look that wasn’t too much of a departure from what’s been established, but at the same time, because he was originally created as a nightmare in the Dreaming, I wanted to make his look stand apart from all other characters. All that said though, Stanton did find one perculiar challenge when it came to bringing in the traditionally arachnid Ananse: having to deal with referencing real-world creepy crawlies to nail his look.